Lent is the time of year when God obligates us to prepare our hearts and to purify our souls so that we are ready to receive Our Lord in His glorious coming at Easter. There’s no time to delay. The Bible says, “Behold, now is the acceptable time; behold, now is the day of salvation” (2 Cor. 6:2). Is there something I can do to get closer to God? Is there something I can do to know God better and to love Him more? Is there some way I can increase my desire for prayer? Is there some way I can rekindle that fire of divine love that might have gone out in my life? Is there some way I can rid myself of the spiritual mediocrity, the spiritual indifference that I find myself in so much of the time? Is there something I can give up? Is there something in my life right now that is not pleasing to Almighty God? Is there some sin that I am holding on to? Is there some habitual sin that is separating my heart from God’s loving grace? Is there something I need to confess? Am I crucifying Our Lord all over again by living in my sins? Lord, let there be less of me and more of You. Let me say no to my will and yes to Yours. God, give me the grace to love You more today than yesterday and more tomorrow than today. The Fatima seer Jacinta spoke this challenging truth: “If men only knew what eternity is, how they would make all possible efforts to amend their lives.” With this in mind, let us explore the special grace God gives us in the sacrament of Confession to help us on that journey of sanctification. Our Lord warned us throughout the Gospel to be watchful. We must be on our guard, and that means keeping our souls in the state of grace, because we can never know the day or the hour when He will come. To help us to do that, Almighty God has given us the great gift of His Mercy in the sacrament of Penance. It has become painfully obvious to me, both from personal pastoral experience and from polling data, that the vast majority of Catholics in our country gave up the practice of sacramental Confession long ago. This is truly a tragedy. First of all, the sacrament of Penance is the ordinary means for the forgiveness of mortal sins committed after Baptism. But it is also a veritable treasure of graces and spiritual strength for us in our daily struggle against sin and temptation. Pope Pius XII said many times that the great sin of our age is, in fact, the denial of sin. “Sin” has become a dirty word that we don’t want to mention anymore, even from the pulpit. Doesn’t it strike you as odd that the more sin there is in the world, the less Catholics — clergy, theologians, and laypeople — seem to say about it? This is theological insanity. Worse, it is spiritual suicide. There is only one thing that can separate us from God, and that is mortal sin. To conceal the reality of sin is, quite simply, to play the devil’s game. It is to fall into his trap. I am reminded of the words of St. Paul: “For the time is coming when people will not endure sound teaching, but having itching ears they will accumulate for themselves teachers to suit their own likings” (2 Tim. 4:3). That day has now arrived. Most people today see enjoyment of this life as being more important than eternity. We don’t want to hear the truth because the truth makes us feel uncomfortable — because the truth sometimes demands that we change our lives, our minds, and our hearts toward God and toward others. When Jesus called the twelve Apostles and began to send them out to preach, He gave them authority and the power to cure the sick and to raise the dead and to give sight to the blind, the power to cast out demons and to make cripples walk — the power, that is, to bring healing to every kind of human suffering. But the Gospel also tells us that, despite that awesome authority, the most important mission that Christ gave the Apostles was to preach the need for repentance. “Repentance” is one of the most important and most frequently used words in all of Sacred Scripture. Jesus’ first words when He began His public ministry were, “Repent, for the kingdom of heaven is at hand” (Matt. 4:17). And Our Lord told the Apostles that, in any place where people refused to hear that word and act on it, they were to leave that place and to shake the dust from their feet as a testimony against those people (Matt. 10:14.) Every messenger ever sent by God in both the Old and New Testaments was sent to preach a message of repentance. No one can be a disciple of Christ, or even claim the name “Christian,” unless that person is willing to repent. What exactly are we talking about when we speak of repentance? First and most simply, to repent means to recognize the reality of personal sin in your life — and to turn away from it. It means putting sin out of your life and changing your life according to God’s Will, even when God’s Will doesn’t conform to your opinions. and a firm purpose of amendment, which means that you intend to try, with the help of God’s grace, not to commit the same sins in the future. Third, to repent means to accept God’s word and God’s law and to make it your way of life. It means putting faith into action. We are saved by faith working through love. Salvation is not by faith alone, and it never was. The Apostle St. James wrote, “Faith by itself, if it has no works, is dead” (James 2:17). Our faith must be a living faith. It can’t be inactive or moribund. That won’t cut it with God. And finally, to repent means to do penance. Whether we realize it or not, even our most hidden sins in some mysterious way disturb the entire order of God’s creation. They cause a diminishing of grace in the Mystical Body of Christ. God expects us to make reparation for the harm caused by our sins against Him and against our neighbors. None of us will ever see the vision of God in Heaven unless we are humble enough to know and to admit that we are sinners in need of God’s mercy. There are no excep­tions. We should never be ashamed or afraid to admit that because the Bible says that “all have sinned and fall short of the glory of God” (Rom. 3:23). Jesus said to His Apostles in the Garden of Gethsemane, “The spirit indeed is willing, but the flesh is weak” (Matt. 26:41). All of us feel the attractive power of sin in our lives. All of us have to struggle to control our disordered passions. There’s always the danger that we can give in to temptation and fall into mortal sin in a moment of weakness. Therefore, there’s an ongoing need for repentance in our lives. This is why Our Lord in His infinite wisdom gave us the sacrament of His Mercy, the Sacrament of Penance! He gave it to us on that first Easter Sunday, when He appeared to the Apostles in the Upper Room after His Resurrection, a critical moment in the history of the Church. We are told about this in the Gospel of St. John: “He breathed on them, and said to them, ‘Receive the Holy Spirit. If you forgive the sins of any, they are forgiven; if you retain the sins of any, they are retained’ ” (John 20:22–23). Every Catholic should have those verses memorized. We should know them by heart so that we can be ready to answer whenever our faith is called into question on this matter. The Gospel shows us clearly that Jesus gave His disciples the power to forgive sins in His Name. But — and this is important — He did not give them the power to read minds! How could the disciples know which sins to forgive and which to retain if no one would confess? We have the practice of sacramental Confession because it has been handed down to us from the Apostles by the will of Our Lord and Savior Jesus Christ. That is why Confession, in one form or another, has been the practice of Christian believers from the very beginning. You see, Jesus left us this sacrament because He knew well what sin and guilt can do to the human soul. They can tear the human soul apart — separate it from God. They can drive a person to despair. God knows we need to have some way to be free of sin and guilt because they can rob us of the inner peace and joy that should be ours as Christian believers — the peace and joy that come with having a clear conscience before God. The human spirit needs to be at peace with God, and we need to be at peace with ourselves. We need to know for sure that God has forgiven us. We need to be able to experience God’s merciful love as it touches our lives. There will be times in our lives, we know well, when we will need to make a new start spiritually, when we will need to wipe the slate clean and start over again. When we do this, we will need to be strengthened by God’s grace to avoid the same sins in the future. That is how the sacrament of Confession helps to transform us interiorly. The beauty of the sacrament of Penance is that whenever you confess your sins to the best of your ability and the best of your memory — when you don’t hold anything back and you are truly sorry and you have a firm purpose of amendment — you always leave the confessional with that confident assurance of God’s complete forgiveness. 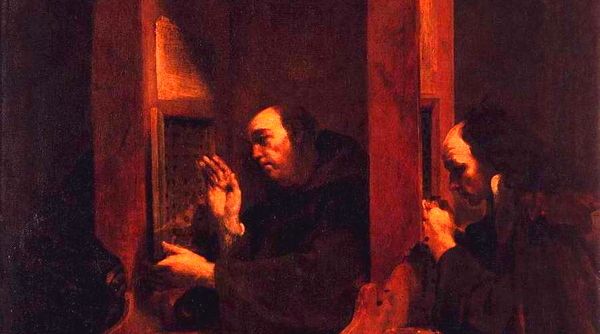 Many people worry unnecessarily about the sins they might have forgotten in their Confession. But the human mind is not like a computer that can access all the data it needs at just the right moment. Our memories are dimmed with our fallen human nature. When you’ve made a good Confession, all your sins are forgiven, so long as you have a contrite heart. God sees the interior of the heart. And if later you should remember some sin that you have forgotten to confess, just bring it up in your next Confession. It’s as simple as that. The idea is to avoid mortal sin completely and to seek true holiness of life! 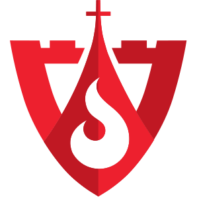 The objective is to become saints! Those who have lapsed into this complacent mind-set have forgotten about the power of sacramental grace — that it is an effective barrier against sins and a very effective means to personal holiness. It is because of God’s infinite love for us that He commands us to make use the sacrament of Penance. It is in this sacrament that we release the past to God’s mercy, the present to His love, and the future to His providence. This article is adapted from a chapter in Making a Holy Lent by Fr. William Casey which is available from Sophia Institute Press. Art for this post Confessing Our Sins Opens the Way to Holiness: Cover of Making a Holy Lent used with permission. Confession, Giuseppe Crespi, 1712, PD-US author’s life plus 100 years or less, Wikimedia Commons. Read more about the transformative power of the sacraments HERE.